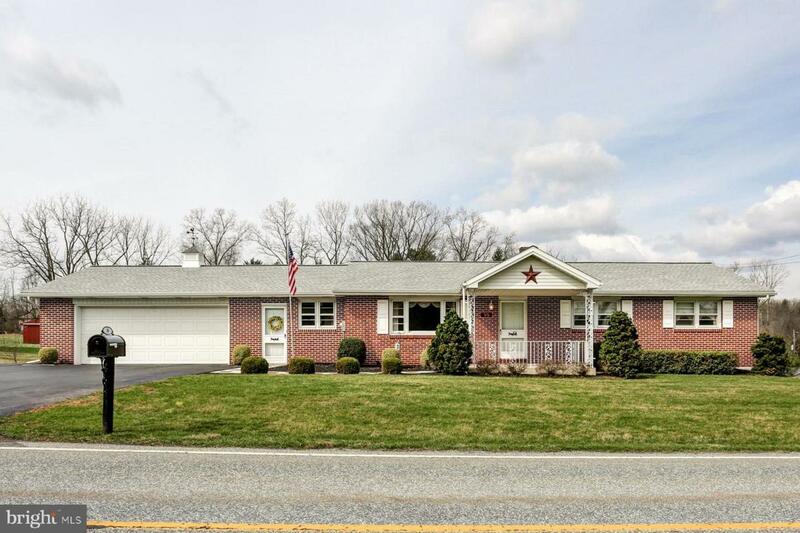 Well maintained 3 bedroom Brick Ranch home on 2 plus acres just outside Dillsburg in Northern York Schools. 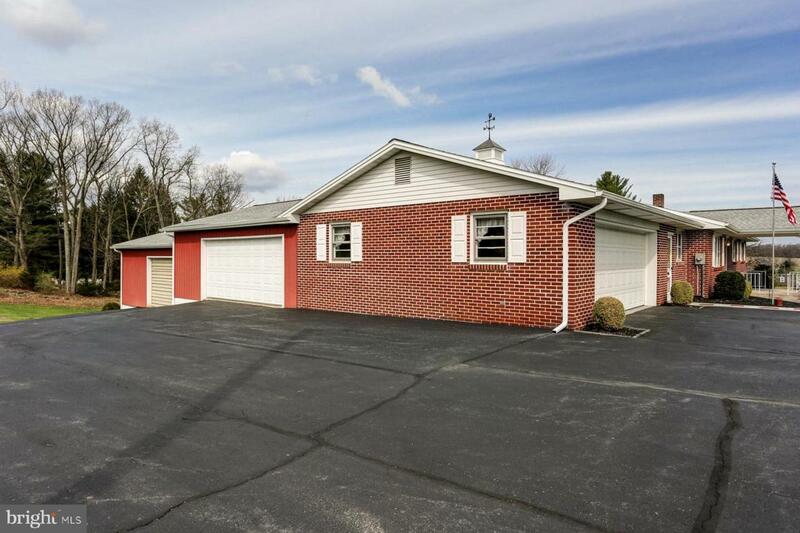 Easily parks 6 cars in 3 garages all attached to the house. 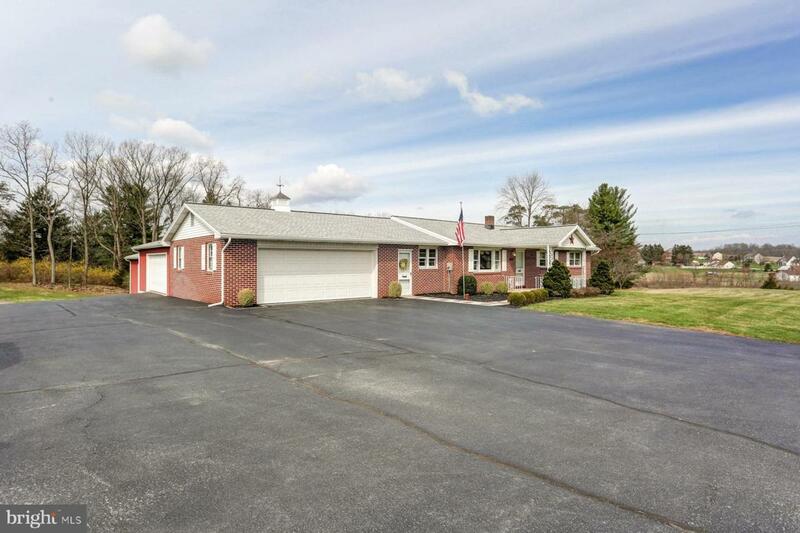 Large asphalt driveway makes this a great place for the car enthusiast or someone needing lots of covered storage space. Some house features are a new roof, facia & soffit in June 2017 and a new central air compressor April 2019. Hardwood floors beneath carpet in 3 bedrooms, office, living room & hallway. A large 20x20 sunroom off the back side of the house will get your attention as a great place to relax at the end of the day or entertaining your family and friends. Baseboard hot water heat, heated basement with walk out to back yard, central vac and a closed in Breezeway when entering the house add to the charm of this property. 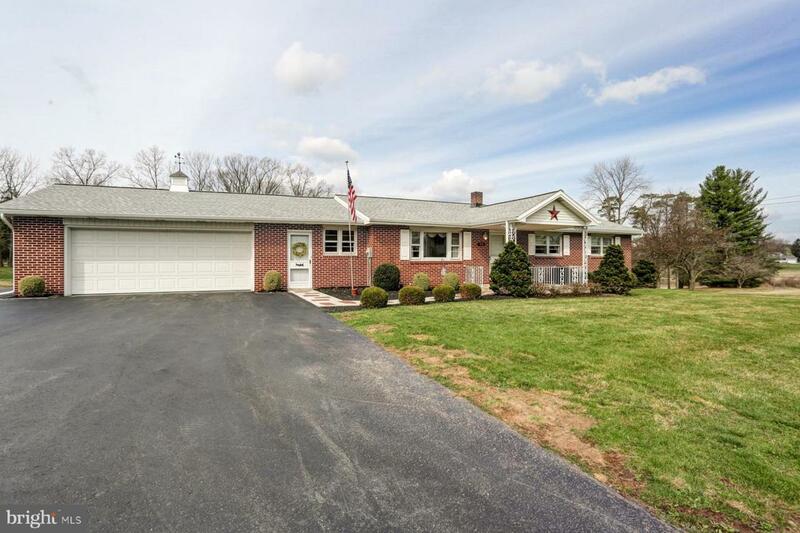 Close to schools and all Dillsburg has to offer!